Erase and repair imperfections with this next-generation 3-in-1 concealer. The ﬁrst-ever naturally derived silicone concealer, Miracle Skin Transformer Treat & Conceal hydrates, covers and protects with powerful treatment beneﬁts. Miracle Skin Transformer Treat & Conceal illuminates and visibly reduces imperfections. Blends seamlessly, immediately improving the complexion for flawless, fresher looking skin. •Naturally derived silicone based concealer, leaving skin with a lightweight and even-toned glow. •Three ultra pigmented shades cover and treat imperfections in the skin. 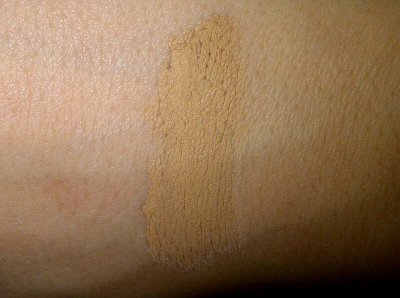 •Color Minerals (iron oxides minerals) give Treat and ; Conceal a unique coverage (available in 3 shades) that adapts to virtually all skin tones naturally. •Naturally Derived Silicones allow light to deflect off skin, yielding a luminous radiance and an airbrushed finish for any imperfection. The formula imparts a velvety cushion to the skin, fills in fine lines, while smoothing out and refining pore texture resulting in firmer, brighter and even-toned skin. Additionally, natural Silicones protect skin from environmental pollution, cover pores’ visibility, evens out skin tone and eliminates redness. •Mica is a mineral pigment in the form of pearls to give skin uniformity, improve texture and performance, resulting in a flawless finish. •Vitamin K helps diminish vascular conditions that emerge as skin imperfections such as dark circles under the eyes, redness from rosacea, and broken capillaries (including spider veins). •Plant Derived Collagen is a protein that provides strength, resilience and support to the skin. As we age, skin loses collagen resulting in the formation of fine lines and wrinkles. Collagen is the most powerful substance known to help keep skin young, soft and vibrant. By replenishing the collagen levels in our skin, we help slow down the appearance of aging. •Ceramides form an oxygen reservoir which accelerates skin cell renewal acting as a radical scavenger. This helps to restore the skin from an undersupply of oxygen and jump starts new cell’s metabolism making the skin look radiant and awake. These plant-derived ceramides release oxygen leaving a plumping effect under the eye. •Vitamin F is an essential vitamin containing Omega- 3 & Omega-6 derived of fatty acids that has superior emollient and water-binding property that protects and strengthen the skin. •White Rose &; Chamomile natural flower extracts helps purifies skin with high antiseptic qualities to help repair the skin. This is particularly beneficial for dry sensitive skin to help soothe and calm irritated skin with its high anti-inflammatory properties. 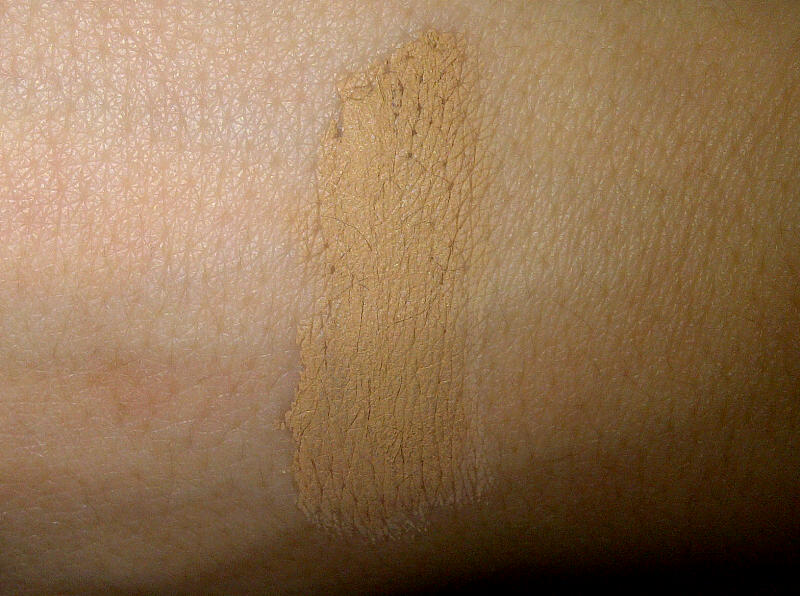 Treat & Conceal comes in three different colors, Light, Light/Medium and Medium. I ended up with "Medium" which was too dark for me, I'm more of a "light" color. What I really liked about the concealer was that it really hydated my skin. A lot of times concealer can be drying and can actually make you look older then you are. It really covered up my imperfections, but make sure you get the right color. Concealer can go completely wrong if you don't match it perfectly. So the shade is a bit dark, but the formula and texture is silky and light. I think this concealer would work best with dry or normal skin types. Oily skin types might have a bit of a problem. You can see some before and after pictures here. 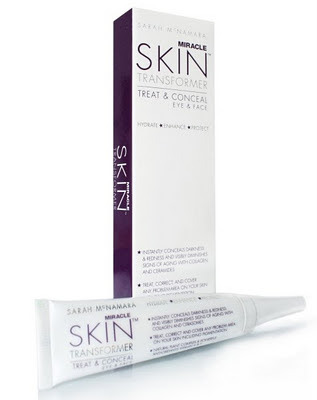 You can purchase Miracle Skin Transformer Treat & Conceal on Miracle Skin's website, and also Sephora.